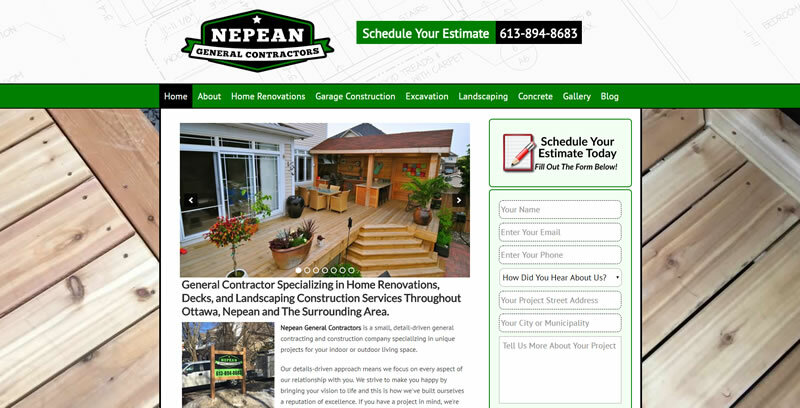 Nepean General Contractors New Website Design. Nepean General Contractors is a landscape and outdoor construction company based out of Ottawa, Canada.The owner Alan Shade contacted us last year after hearing Carl Sorensen (our head honcho) on a podcast called “Dirt Monkey University” a podcast that is specifically for landscaping contractors. Alan did have a website but it was old and antiquated, not mobile responsive, didn’t rank very well and was very ineffective at generating leads for his business. How Did We Help Alan and Nepean General Contractors? Alan hadn’t spent any money on shady SEO’s so his website had a very clean online profile (which is very nice for us to work with! 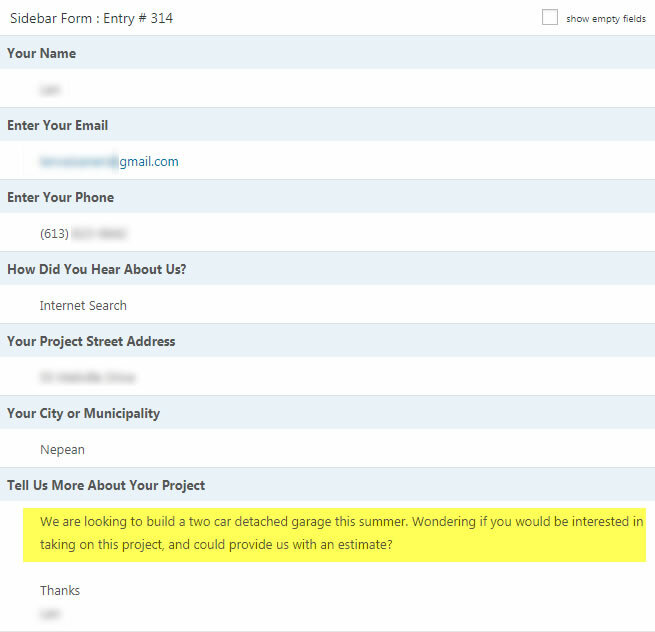 ), it just wasn’t ranking very well or generating quality leads. To combat that we had some discussions with Alan and identified his most profitable services which was outdoor construction such as garage and shop construction, new deck construction (cedar), retaining walls, and hardscaping like driveways and patios. We then did a little bit of research on the cities and towns around his business that were higher income areas and would likely have homeowners who wanted (and could afford) his specific services. With Ottawa being a very large metropolitan area in Ontario we were able to narrow down the dozens of potential areas to just the 10 that were closely located to him and that we thought would be the most profitable. After identifying his most profitable services and the areas around his business that would be ripe with clients, we went to work developing his new website, creating individual and unique pages to target his offerings and the areas he most wanted to work in. With some very basic SEO work Alan’s website started to rank well and the increase in traffic was substantial. With new leads coming through the website Alan hired us again a few months later to get much more aggressive with his Internet Marketing. We obliged and we’ve done several updates to his website. 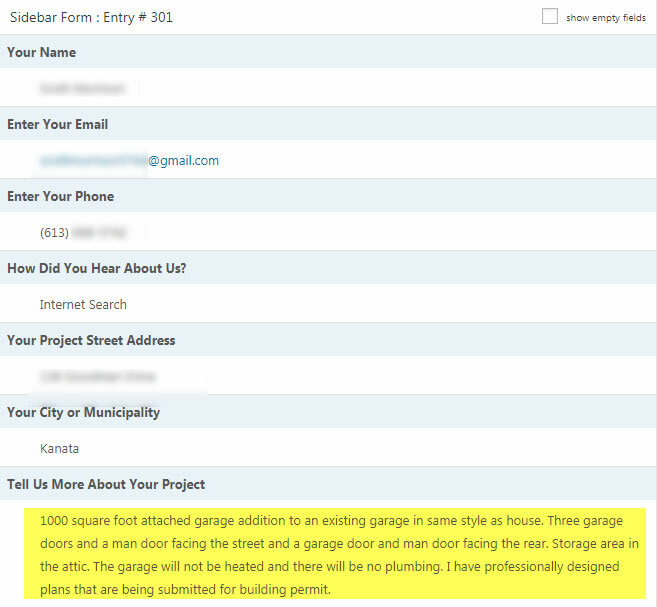 In less than two years the Nepean General Contractors website has generated approximately 539 leads! That’s pretty impressive coming from a website that was generating nothing to begin with! 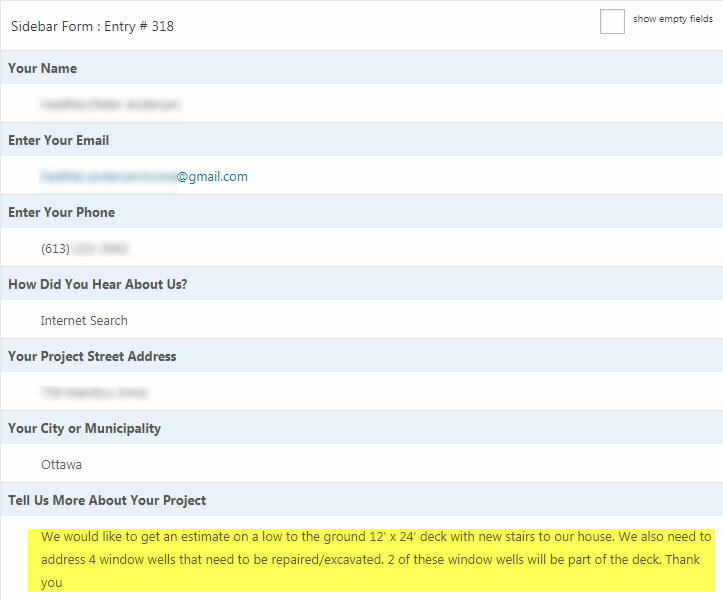 Want To Hire Us To Improve Your General Contractor Website?